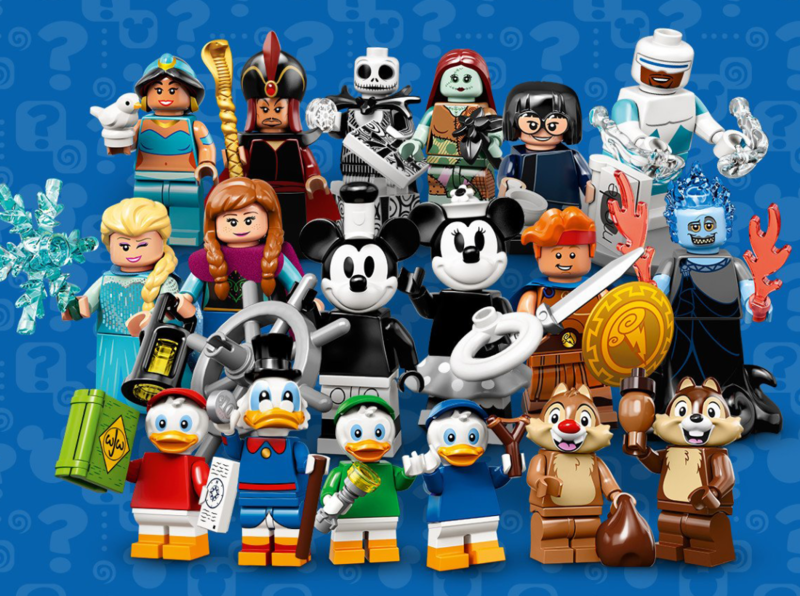 There are 18 Minifigures in the serie. It is a mix of characters from different movies like Hercules, Aladdin and Frozen. Minifigures to try to find are for example Hercules, Hades, Princess Jasmine, Jafar, Elsa and Anna. There are also some from the tv show Ducktales with Scrooge McDuck and Donald Duck’s nephews.